This 33mm. 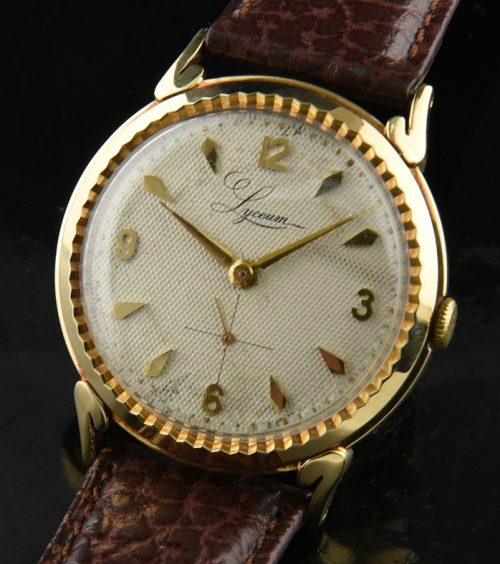 LYCEUM 1950’s watch has much to offer! I really like the ridged bezel and stylized lugs-all in solid 14k. gold. Check out the “Explorer” style waffle dial with dagger hands and quadrant sub-seconds-all original. The manual winding SWISS movement was just cleaned and is accurate. 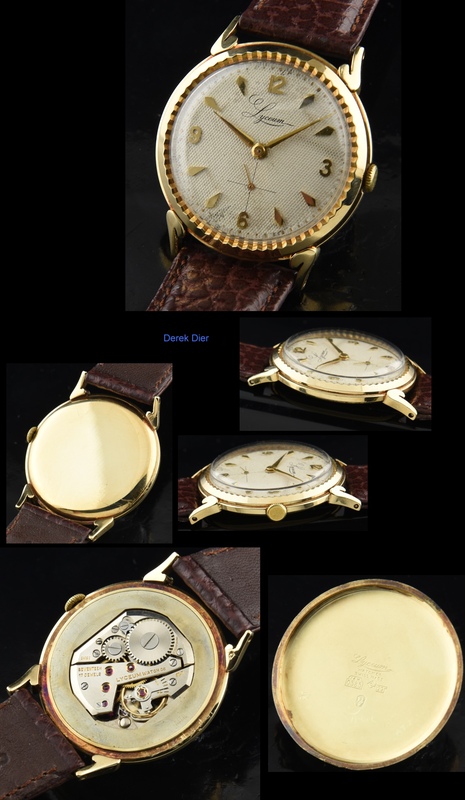 This is a great looking vintage watch.